The Tamil Refugee Council (TRC) while commending the pledge made by Crown Resorts Proprietor James Packer to view the documentary on Sri Lanka’s killing fields – the ‘No Fire Zone‘, called upon him to look beyond the profit motive and empathize for the Tamils. Grant has pointed out the British Prime Minister David Cameron who viewed the Emmy-nominated documentary had described it as one of the ‘most chilling documentaries’ he has watched and states that it brings home the brutal end to the civil war and the immense suffering of the thousands of innocent Tamils. “We urge him to reconsider; hopefully he can see beyond the profit motive and allow his heart to bleed for the Tamils,” Grant has stated furthermore. 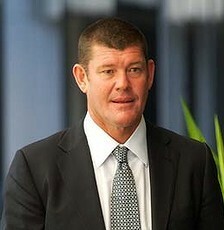 Packer had agreed to watch the documentary No Fire Zone – a documentary that focuses on the mass slaughter of thousands of innocent Tamil civilians during the final months of the war in Sri Lanka – during the annual general meeting of Crown Resorts in Perth this week after he was questioned about the planned 450 million USD casino joint venture in Colombo. A local refugee activist Victoria Martin-Iverson had presented him with a copy of the documentary. During the meeting he had expressed his sympathy for innocent civilians in such circumstances as were the Tamils in Sri Lanka during the final phases of the conflict in 2009.